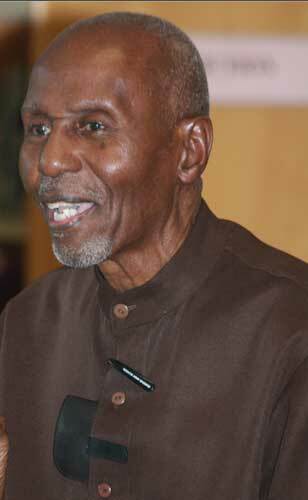 The passing of the great mathematician Abdulalim Shabazz seems to punctuate the loss of several great ones in recent weeks. These elders and paragons of the struggle must always be honored and remembered for their sacrifice, their struggle and the role in moving Black America forward on the path to a full and complete freedom. Dr. Abdulalim Shabazz was once known as Dr. Lonnie Shabazz of the Nation of Islam. He was a brilliant educator and thinker whose work would spread across America and to other parts of the world. His genius in the field of mathematics, a world-building science, would beat back the lies of White supremacy and Black inferiority. “The Nation of Islam, America, the Islamic World and the World in general, have lost a giant in the field of mathematics and science and also we have lost a great one in the Cause of Allah and the spreading of the message of the Qur’an, the example of Prophet Muhammad (PBUH), and his own personal experience with the Honorable Elijah Muhammad,” said the Honorable Minister Louis Farrakhan of the Nation of Islam, in a statement issued to The Final Call on June 30. “You may ask how could a man who only went to the fourth grade capture the heart, mind and spirit of a man with so many letters behind his name and so many major accomplishments even to the presidential medal for mathematics and science?” he noted. It is because the Honorable Elijah Muhammad was taught by a Master. When Dr. Shabazz passed June 25, he was a highly respected scholar and endowed professor at Grambling State University, an historically Black university. He also served at Lincoln University, Cheney State, Tuskegee Institute, and Clark Atlanta University during his distinguished career. In 2000, President Bill Clinton honored Dr. Shabazz with a National Mentor award. 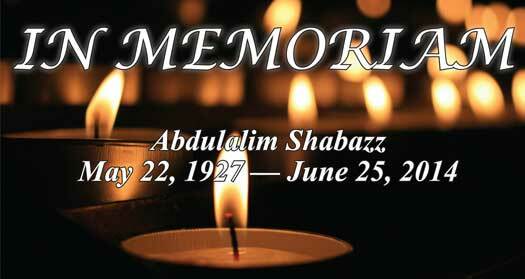 Dr. Shabazz was born May 22, 1927 in Bessemer, Ala. He earned a B.A. in Mathematics and Chemistry from Lincoln University; a Master of Science in 1951 in Mathematics at the Massachusetts Institute of Technology; and a Ph.D. in 1955 in Mathematics from Cornell University. He worked for the Cornell Aeronautical Laboratory in Buffalo, N.Y., and was a Research Mathematician with the Metals Research Laboratory of the Electro Metallurgical Co. at Niagara Falls in 1955. These are in the days when a Black man would have done well to be working as a janitor and working in a high-level mathematical research was almost impossible. “Shabazz shocked the mathematics community when he announced, in 1961, that he was a member of the Nation of Islam. He was appointed Director of Education for University of Islam No. 4 in Washington, D.C. in 1963, a position he served in until 1975. From 1975 until 1986, Dr. Shabazz taught in Chicago, Detroit, and in Mecca, Saudi Arabia,” the Wikipedia entry about his life notes. The American Association for the Advancement of Science gave Dr. Shabazz the 1992 “Mentor Award” for his leadership in efforts to increase the participation of women, minorities, and individuals with physical disabilities in science and engineering. He received the National Association of Mathematicians Distinguished Service Award for his years of mentoring and teaching excellence. He was also a 1995 recipient of the QEM/MSE Giants in Science Award. In 2001, the Association of African American Educators awarded Dr. Shabazz with its Lifetime Achievement Award for outstanding work with Blacks in mathematics, according to the Wikipedia entry. In the Sankofa website interview, Dr. Shabazz was asked about continued discrimination and lingering discriminatory practices in professional organizations. “Do you feel that the mathematics community in the United States is interested in or receptive to ideas on how to more effectively teach mathematics—particularly to African Americans?” he was asked. “Definitely not! The mathematics community is a very elitist community. They view mathematics as pure thought and largely take the position that any mathematics dealing with applications or practicality is not really mathematics. They do not acknowledge contributions to the field made in Africa and South and Central America where there exist monuments to the mathematical and technological genius of our people. This must change since there is nothing anyone can do with abstract or pure thought in and of itself,” Dr. Shabazz responded. In the same interview, he offered Supreme Wisdom in calling for Black institutions to stress proper education. “Muslims have always believed in freedom and self-reliance. We cannot rely on others to give us the things needed for our own survival. If we won’t educate ourselves, or if we allow Whites to continue to try to do this for us, we will never be self-reliant. In addition, if HBCUs become tools of Whites, then business development, which African Americans need to become self-reliant, will never become a reality. Instead, we will always strive to become whatever Whites require of us in order for them to regard us as worthy of their employment and support,” he said.